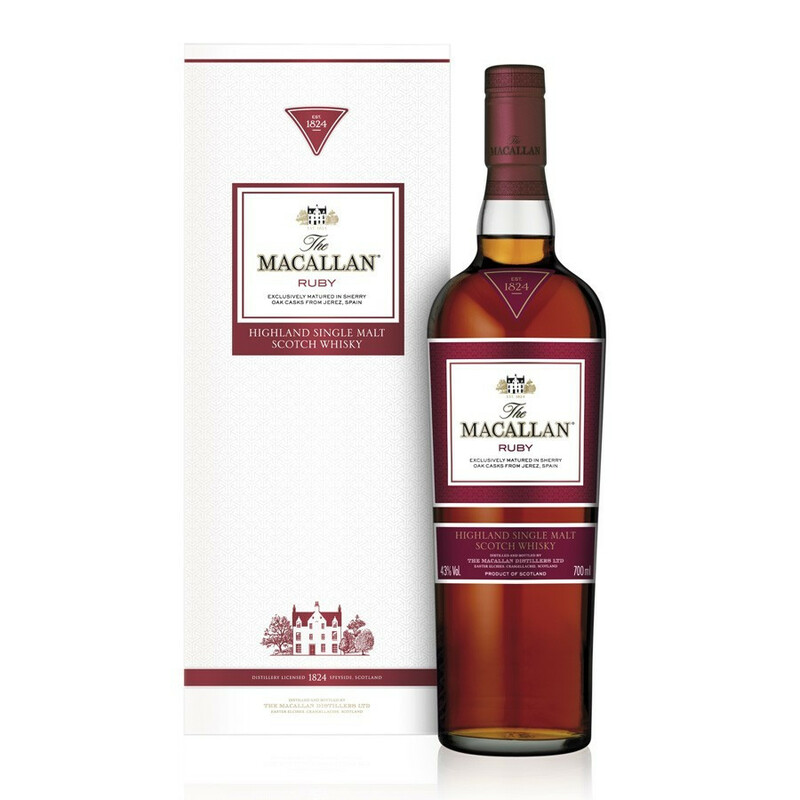 With its beautiful reddish colour, Ruby evokes the shimmering precious stone, and is a wonderful reminiscence of Macallan Sherry Oak 18 Years Old. Macallan Ruby is a Single Malt of the 1824 range, a range that has been launched by the distillery to highlight whiskies exclusively aged in spanish Sherry casks and which developed rich, impressive textures, distinctive aromas and flavours that make them unique. With its lovely reddish colour, Ruby evokes the shimmering precious stone and is a wonderful reminiscence of 18 Year-Old Macallan Sherry Oak. Its extravagant fruitiness of raisins, mild spices and ginger with a floral and oaky character make it a not to be missed whisky. The Macallan distillery is nestled on the banks of the river Spey, at the heart of Glenlivet, cradle of the great malts. Located near Graigellachie, the Macallan distillery obtained its first license to distil thanks to Alexander Reid. It was purchased by James Stewart in 1886 (from Glen Spey distillery) who undertook its reconstruction. In 1892, Roderick Kemp took over the ownership of the old farm distillery. It stayed in the Kemp’s family until 1996. Within 10 years (1965 to 1975), the number of stills at Macallan rose from 6 to 21. The success, brand and popularity of The Macallan are established on the exceptional quality of production, as Macallan maintained traditional methods of whisky elaboration. All of The Macallan production comes from the same distillery, which makes it a Single Malt. The Macallan is today the fifth best-selling malt in the world. The six golden rules of The Macallan are the reason why it is today the Rolls of Single Malts, according to the widely recognized Harrod’s Guide. 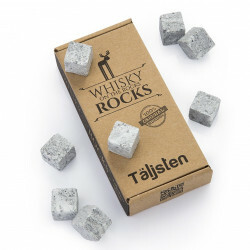 A set of 8 Scandinavian whisky stones shaped like ice-cubes for a genuine wisky "on the rocks"! Discover the unique thermal properties of these soapstones.